A Microsoft's application of the shared library concept is Dynamic Link Library (DLL). A DLL file comprises code and data that can be used by numerous programs at the same time; therefore it endorses code reuse and modularization. 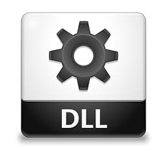 This brief lesson offers an overview of Windows DLL along with its usage. This lesson will be useful for software programmers interested in learning the ideas of Windows DLL and how to use them in practice. You need have a good sympathetic of Windows ideas and you should be familiar with either VC++ or C/C++.